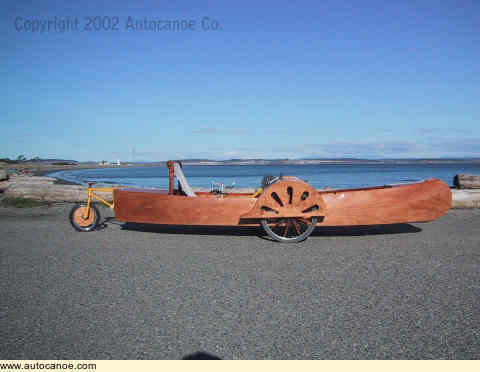 The Autocanoe - an amphibious recumbent trike This is one of the most wonderful machines I have seen! If I lived near to the water I think I would have to build one, for the pleasure of just going for a ride and taking to the water whenever the mood took me. I asked the designer, John Montgomery, for the picture above, and here is his website http://www.autocanoe.com/ - You can buy the plans for a very reasonable price there. Do take a look at the video clip on the website. It shows the Autocanoe doing figure-of-eight turns at speed and in about its own length.